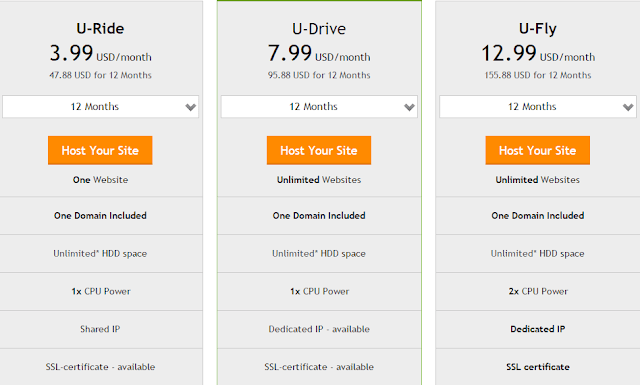 If you are looking for a premium and the affordable hosting solution then UniHost is for you. In this UniHost review, I will take you through all the features, pricing and specifications of this premium hosting provider. Usually, whenever anyone is starting a website or blog, Hosting is one of the very few things which plays a very important role and decides the success of your online venture. Your hosting solution defines the success like how much time your site will be up and running, the speed of your website, loading speed and many others. Although every hosting company claims to have 99.9% of uptime but do all really provide? Of course, not and so you should be very careful while selecting the web hosting for your next online venture. In this UniHost Hosting Review, I am going to share the true review and will also talk about the pros and cons of UniHost and why you should select UniHost for your next startup! 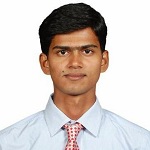 UniHost is a professional and premium hosting provider for all range of users. They are working to provide the highest quality and convenient service. Providing the wide ranges of internet solutions, UniHost is developing itself as in all in one place for all your website needs like domain, hosting and SSLs including high-quality servers. All of their hosting plans and solutions worth for every penny and you won’t regret by moving to UniHost. In the next section, I am going to share UniHost Hosting plans. Here are the few major qualities provided by UniHost which makes them ahead of their competitors and has helped them to become the top choice in Hosting services. • A wide range of services: As explained they are providing complete service a website may require like Hosting, Servers, Domains, and SSLs. • Automation and Performance: Once you will order and register your hosting with UniHost, it won’t take more than 10 minutes to start your site and make it live. • Stable and fast hosting: Their hosting servers are based on Intel® Xeon® E3-1270 v3 Quadcore Haswell with Hyper-Threading technology, and equipped with 32 GB ECC RAM and 2х2 TB SATA3 Enterprise-class HDDs, united in a RAID 1 array. Our hosting databases are located on separate dedicated servers with high-performance Enterprise-class SSD hard drives Samsung 843T (41000 IOPS) for the maximum performance. • Support for the latest CMS: You will get one click installation features for all the latest CMS like WordPress, Drupal etc. which makes your work very easy. • Excellent Support: UniHost dedicated support team ensures that all your query can be solved as quickly as possible 24x7. You can contact their award winning support team via live chat on the website, phone or by simply sending us an e-mail through our ticket system. And many other such features which make your work easy so that you can focus on the growth of your site. UniHost has wide ranges of Hosting plans and depending on your requirement you can select one which fits you best. If you are working on custom sites you may require web hosting enabled with CPanel. So this plan is for you. But if you are working on CMS, you can try their CMS specific hosting which I will explain in next section. Here is the web hosting plans and all these comes with an Anti DDOS features which help you to keep your site secure. Well, if you are working on a WordPress blog then UniHost has special and dedicated hosting for you. 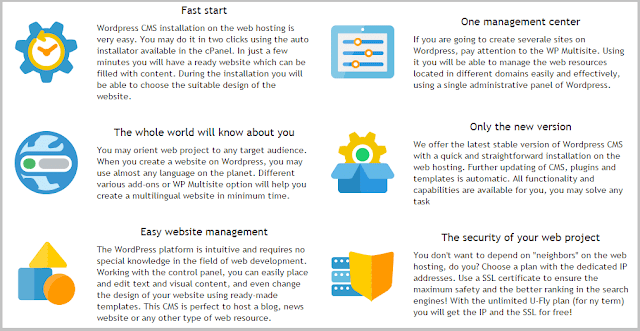 Below are the UniHost WordPress Hosting plans which have been dedicatedly designed considering the features a WP blog should have. Similarly, if you are using Joomla then they have dedicated hosting plans for Joomla which is similar to WP hosting plans. UniHost Provides a wide number of VPS plans depending on the operating systems and the hardware requirements. You can choose which suits you. VPS is the mix up of shared hosting and dedicated servers. Their VPS plans just start at $5.0 per month and every penny of it worth. Depending on the data centers UniHost has, there are different dedicated server plans. You can choose as per the location you want. You can register all the domains extensions at UniHost very easily. Their prices are very competitive and there are no hidden charges. The best thing I found with UniHost domain registration is, you can write all the domains you need and can search at once to check the availability. This will save your lots of time. SSLs are a very important component in website security. It makes the data transfer encrypted and so the chances of data hack gets reduced. If you are maintaining a site which has either data transfer or payment solutions, SSLs are a must for those. 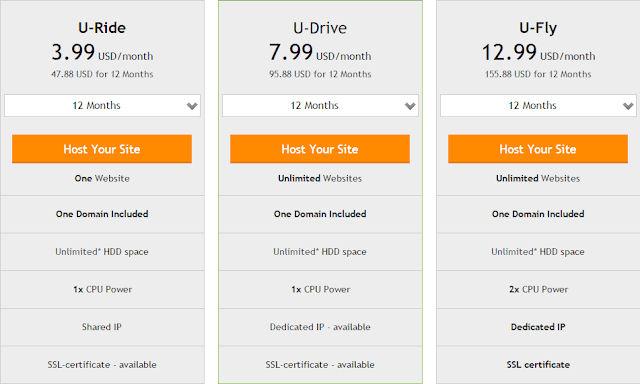 With all these amazing services, premium hosting, and low prices, UniHost also provides 30-days money back guarantee. You can ask for your money back if you are not satisfied with their services at any time without any questions being asked. UniHost is one of the premier hosting provider currently serving since 2001 in different geographic locations. The company is performing really well which you can estimate from its growth and the feedback received from customers. So, if you are looking for a reliable, premium and affordable hosting, you must try UniHost. It can be an ideal place to start with.